Formed in the wake of the Liberation of Terra from a mixture of soldiers of the Rim Worlds Republic and the SLDF, the Always Faithful were initially a Brigade-sized unit. During the First Succession War, the Always Faithful were employed by the Capellan Confederation and fought against the Free Worlds League. These engagements cost the unit most of their more sophisticated equipment. The next contract brought them under the employ of the Draconis Combine and into the Company Store trap. Constantly increasing levels of debt to the Combine forced the mercenaries to undertake hazardous assignments, finally managing to settle their accounts and leave for greener pastures after capturing a haul of Federated Suns JumpShip parts. It was during the 2nd Succession War that the Always Faithful had to sell their JumpShips and DropShips due to the strain that their financial difficulties had imposed on their support infrastructure. The Always Faithful saw extensive service during the 3rd Succession War under contract to the Lyran Commonwealth. They were deployed against both the Draconis Combine and the Free Worlds League even though the Always Faithful had been reorganized into a single regiment at the start of the war. Although the regiment was involved in heavy fighting around Tamar, the Always Faithful left Lyran service at some point during the war. Hiring the Always Faithful again was one of the steps taken by Alessandro Steiner to improve the military strength of the Lyran Commonwealth after he became Archon in 2980. During 3026 the Always Faithful acted as a bodyguard unit for the planet Summer, but they were unable to save Duke Aldo Lestrade from being successfully assassinated by an alleged Kuritan operative. Although the Always Faithful spent the first half of the 4th Succession War on Summer, the officer commanding Operation HOLDUR (General Spire) viewed Altair as the prize of the operation. General Spire enlisted the help of Archon Katrina Steiner in committing both the Always Faithful and the 17th Skye Rangers to the world, deploying both units as full Regimental Combat Teams against the elite 18th Dieron Regulars - against the express wishes of Duke Aldo Lestrade. Although the battle for Altair was ultimately unsuccessful, the Always Faithful were directly responsible for the 2nd Battalion of the 18th Dieron Regulars being destroyed during the battle for Hehiro City. A lance from the Always Faithful managed to hold up the 2nd Battalion as they attempted to break out between the two Lyran RCTs. Although the Always Faithful lance was destroyed, they held the line long enough for combined forces from the rest of the Lyran units to engage and destroy the enemy battalion. With the expiry of their contract with the Lyran Commonwealth in 3028, the Always Faithful took up an undisclosed number of contracts with the Free Worlds League where they saw extensive service under Duncan and later Thomas Marik. Based on Vanra in 3028, the Always Faithful were deployed on Iknogoro in 3032 and Mosiro in 3035. The Always Faithful were in the employ of the Lyran Commonwealth during the War of 3039 but did not actively participate on the Draconis Combine front. The Always Faithful left the employ of the LCAF after the war. By 3039 the Always Faithful were fighting as a combined arms regiment, but the fighting on Andurien against first the 6th Defenders of Andurien (with additional forces from the 1st Defenders of Andurien) changed that; months of grueling city fighting at Baroda cost the Always Faithful almost all of their armor and infantry. By 3050, Colonel James Burrill Riel had become the command officer of the Always Faithful. Immediately prior to the Clan invasion they were stationed on Conquista under contract with the Free Worlds League. The Always Faithful were still there in 3054, but that would soon change. The Always Faithful were one of a number of units loaned out to the Capellan Confederation for operations in the Sarna March during Operation Guerrero. The unit was deployed on Caph in 3059 and were still there when the Word of Blake arrived and began the process of turning the world into a Blakist protectorate. 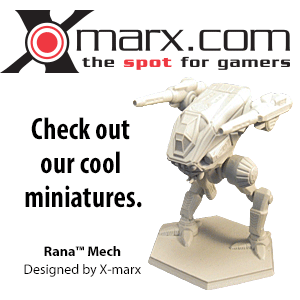 By this time the mercenary unit had already taken a battering during the extensive factional conflict for the world. Colonel Riel was in very poor health in the later years of his command of the Always Faithful and directly commanded the unit only when his medical staff felt he was fit enough. By 3067, the Major commanding the 7th Striker Battalion was effectively determining the unit's tactics. Following the losses inflicted during the Andurien Secession, the Always Faithful used mobile components to pin a enemy in place and then the heavy components to deliver the final blow. The exception to this was the 7th Striker Battalion which preferred a much more mobile style that allowed them to avoid a head-on confrontation while continuing to erode the enemy strength from the flanks. The command had few support assets (50% technical support) and no transport assets. 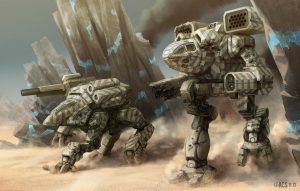 In 3025 the Always Faithful were a Heavy BattleMech regiment supported by a Medium AeroSpace fighter contingent and infantry, but with no Armor, DropShip or JumpShip support at this point in time. Additionally they were in debt to the Lyran Commonwealth. The Always Faithful were based on Alarion along with the 19th Lyran Guards. Note: At this point in time the unit was stationed on Conquista. At the end of 3067, the Always Faithful were operating at 75% strength following the conflicts within the Chaos March, but 40% of the unit were upgraded to Star League levels of technology. The Always Faithful cannot acquire Clan BattleMechs. The Always Faithful are immune to intimidation, preventing any enemy units from forcing the initiative, and the 7th Striker Battalion can use off-map movement. The Always Faithful were members of the Allied Mercenary Command. ↑ First Succession War, p. 35, "Those Left Behind (Continued)"
↑ 2.0 2.1 2.2 2.3 2.4 2.5 2.6 2.7 Field Manual: Mercenaries Revised, p. 38 - "Unit Profile"
↑ Mercenaries Supplemental Update, p. 11, p. 72"
↑ 13.0 13.1 13.2 13.3 First Succession War, p. 136, "Mercenary Combat Commands (CCAF)"
↑ Field Manual: Mercenaries Revised, p. 128 - "Force-Specific Rules"